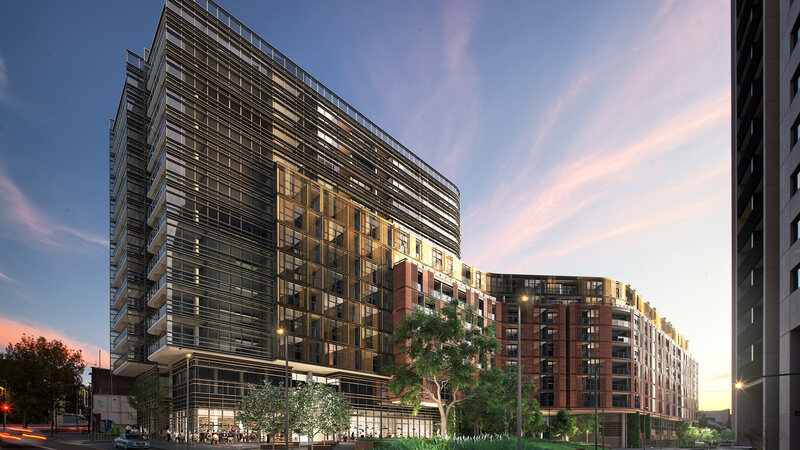 Wonderland is the final residential stage of the award-winning $2 billion Central Park masterplanned village in Chippendale, developed by Frasers Property Australia. 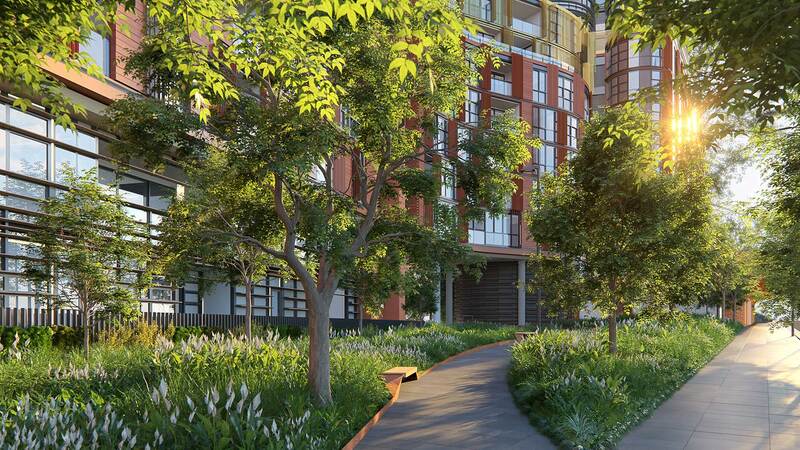 It will be completed in mid to late 2018, and will conclude the delivery of over 2,200 apartments across the entire 5.8 hectare Central Park development. Wonderland is centred on the idea that Central Park is now a modern-day ‘wonderland’, featuring a labyrinth of characterful laneways, tiny terrace dwellings, dining districts, spacious green parks and soaring rooftops to explore and discover. Wonderland’s form is integrated into a layered curvilinear profile responsive to the varying street and existing building alignments. This sinuous built form defines a significant north facing green public space while maintaining the secondary green space on Wellington Street that remains of comparable size to that of the original masterplan. The new open space and curvilinear built form create a memorable eastern gateway into the Central Park addressing Regent Street and resolving existing street alignments. The curvilinear form of the proposal creates an invitation to the Central Park development that provides a ground-plane and public domain that gently unfolds in an experience of discovery and expectation. 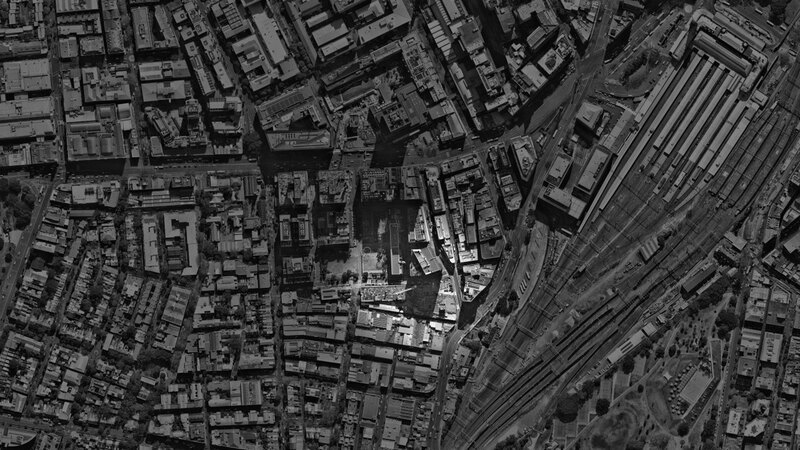 Notwithstanding the distinctive curvilinear forms at the eastern gateway, the western section of the proposal maintains a regular geometry and alignment to complement the neighbouring Block 5b architecture and defining the important main park of Central Park. The layering and setbacks provide a sensitive scaling of the building to the new Central Park, Wellington Street and adjacent developments allowing an additional partial floor to be created at the western end overlooking Central Park, with an additional floor at the eastern end overlooking the new north facing park. Importantly the views, natural light, sun access, amenity and value of the apartments were considerably improved in relation to a masterplan compliant scheme, as was the quality and quantity of public space. The curvilinear and layered architectural form provides a distinct and unique identity that will greatly assist in the branding and value of the development. 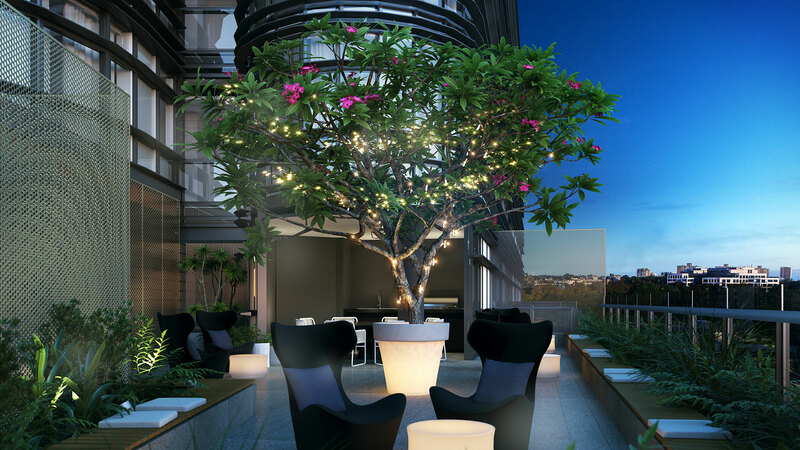 The sinuous form complements the innovative architecture of the signature developments of Central Park along Broadway, whilst providing a considered interface and transition to the existing urban grain of Chippendale. The palette of materials of terracotta, metal and glass provides contemporary reference to the existing masonry buildings of the site, and responds to the new neighbouring developments. We proposed durable and cost-effective materials that are 'timeless,' instead of following the flux of fashion trends. 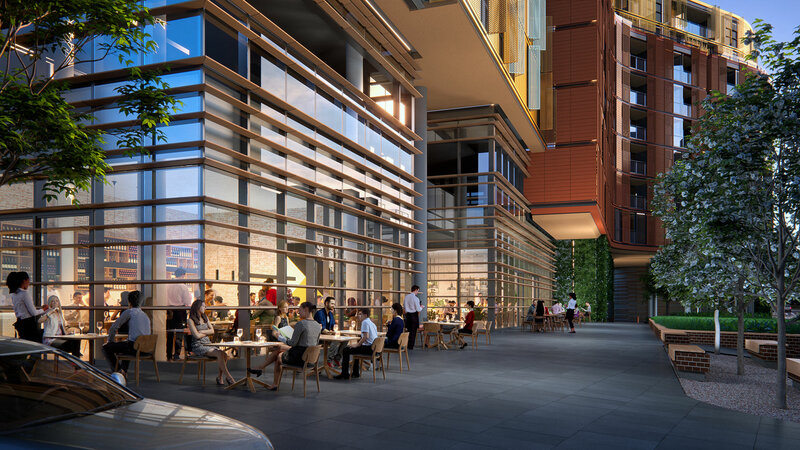 The development will complement and provide contrast to the signature glass buildings that address Broadway, and will reinforce the traditional materiality of Chippendale that is appropriate given its interface and proximity to the finer grain of the existing urban fabric.  The design intent is to provide a considered balance of solidity and transparency. 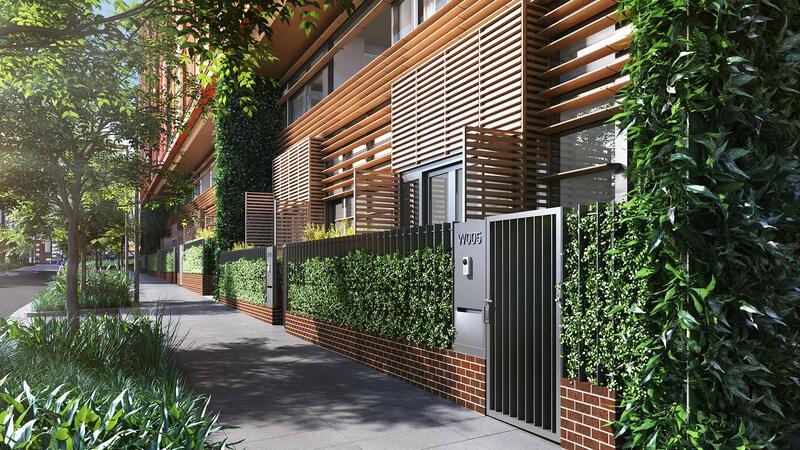 Wonderland offers one, two and three bedroom apartment and a handful of unique, one and two storey, two bedroom and three bedroom park side terraces that front Chippendale Green. 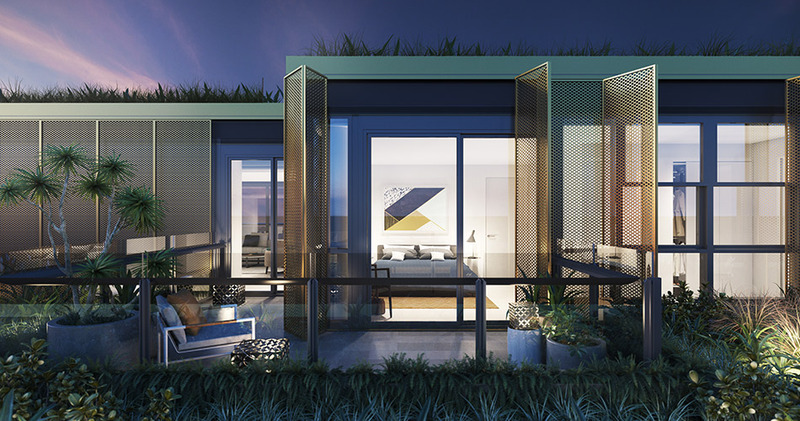 These terrace apartments will afford some of the best park views in the entire Central Park precinct. 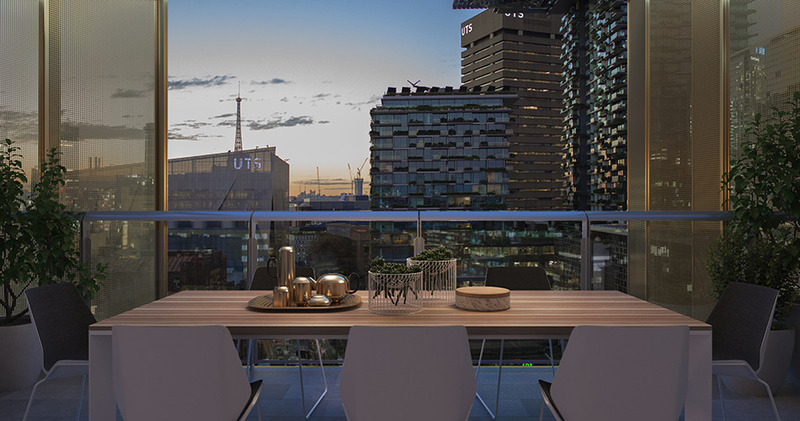 Wonderland provides residents with an array of amenities such as a fully equipped gymnasium and a rooftop entertaining and dining area that overlooks Chippendale, featuring barbecue facilities and sculptured seating. It will also feature an exclusive residents’ lounge that can be booked for private functions and meetings, and 12/7 concierge.